Hi everybody. 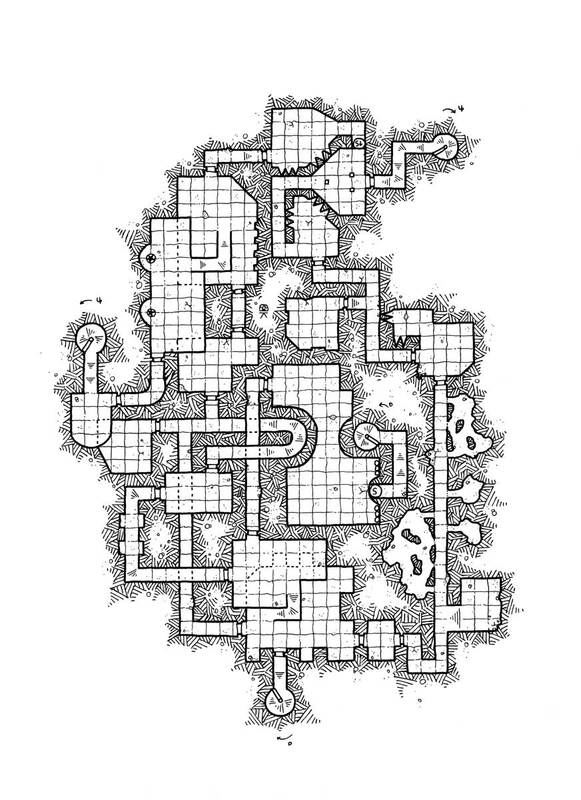 Today I propose a somewhat special level for the modular dungeon. I already imagine some of you wondering why this level is special. I grant it, it resembles all the others. It is just a little larger than usual and has four staircases. But imagine that this is the 40th level of the modular dungeon and I decided that it would be the last of this first collection. A compilation of this first collection is in preparation. It will be titled Modular Dungeon #01 and will be released very soon on DriveThruRPG. I want doing some other stuff before starting a second set of levels but I don’t know yet what. How about a Modular Cavern project?